Jean Sothern was beyond pissed; she was fit to be tied. In the summer of 1921, the actress, no longer in films, was entertaining her fans in vaudeville houses around the country. Everywhere she went, they were the same questions. What is your connection to Beverly Chew, the Army captain, and his wife, the couple being investigated for forgery? Are you, as the headlines imply, married to Mr. Chew? They were fair questions to ask. Beverly Chew and his wife were caught in the middle of an investigation that made national headlines for weeks. The worst part, Chew’s wife was identifying herself as film and stage actress Jean Sothern. The 28-year-old actress who had worked hard to built a reputation and name for herself wanted to know what in the hell was going on. During Chew’s court marshal on Governor’s Island in New York, Jean was eager to set the record straight. She showed scrapbooks of newspaper clippings and photographs from her films. “I am the Jean Sothern who is the motion picture star. I am indignant that another woman should use my name for any purpose. This thing has gone far enough,” she told reporters. Director Herbert Brenon testified that Jean had entered films when he hired her for a major role in The Two Orphans with Theda Bara and that she was not the wife of the accused. When the waters cleared, Marjorie “Daisy” Brennan, whose father invented the bicycle carousel, was identified as the real Mrs. Beverly Chew. Taking the name Jean Sothern, Daisy apparently started in show business a decade before on the stage before making a few films in 1919 for Colorgraph Films in Arizona. In July 1921, Chew was found guilty and sentenced to seven years — he served about a year and a half. Mrs. Chew was acquitted. In January 1924, she succumbed to the cancer she had fought for over three years. Variety reported her death under the name Jean Sothern. Further confusion! The mistaken identity plagued the real Jean Sothern for the rest of her life. Many assumed the actress who had starred in about a dozen films for Fox, Imp, and Pathe had died in 1924. At least two film references, Who Was Who on Screen (Truitt) and Who’s Who in Hollywood (Ragan), give 1924 as the death year of the actress. As of December 2014, the web site International Movie Database states that Jean Sothern, known for A Mute Appeal (1917), The Mysteries of Myra (1916) and The Cloud (1917) died in 1924 and was the wife of Beverly Chew. Pe rhaps Jean Sothern had the last laugh. She lived another 40 years. Sadly, few have taken the time to explore and get to know the real Jean Sothern, dainty star of the silent screen. The time has come. Here’s her story. 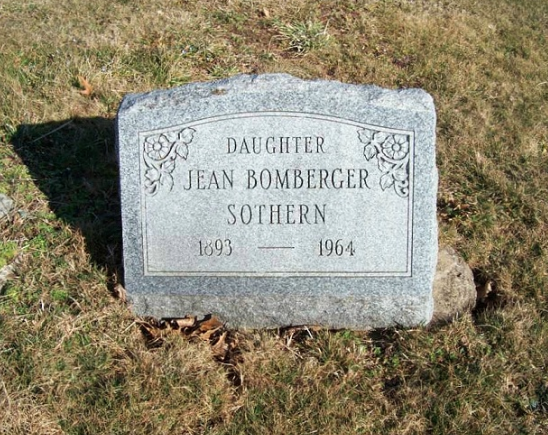 Jean Sothern was born Grace R. Bomberger on December 5, 1893, in Lancaster, Pennsylvania. 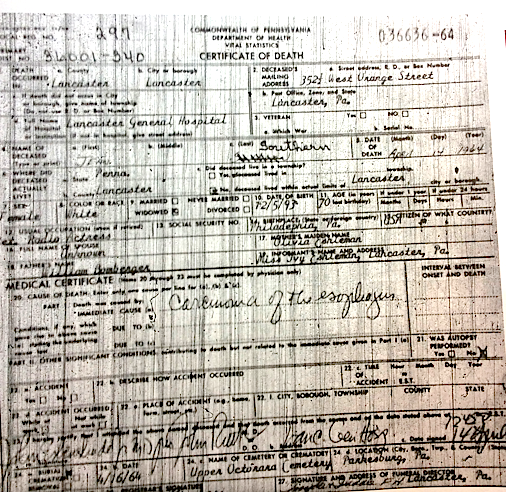 She was the only child born to William and Olivia (Eshleman) Bomberger. Edwin Liebman, orchestra leader for Loew’s America in New York City, and his family took Grace under their wing. The Liebmans “adopted” Grace. In interviews about her life, she often referred to Edwin Liebman as her father. For a short time, she used Esther Robinson as her professional name — Robinson was the maiden name of her father’s mother. Theatrical manager Arthur Blondell gave her the name Gene Southern, which she changed to Jean Sothern. 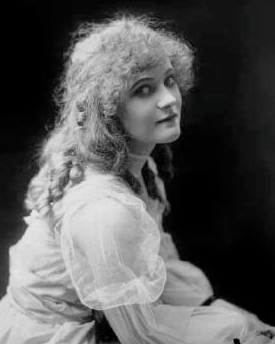 By 1914, she had developed a stage act for Loew’s circuit. A little over five feet tall, Grace was billed as the Little Dynamo of Personality. 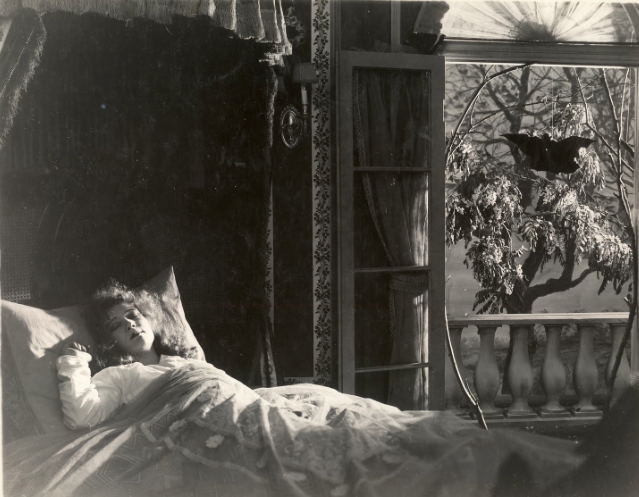 A stroke of fortune came to Jean when director Herbert Brenon hired her to appear as the blind orphan with Theda Bara in The Two Orphans (1915) — later remade as Orphans of the Storm. The actress stuck to feature films. 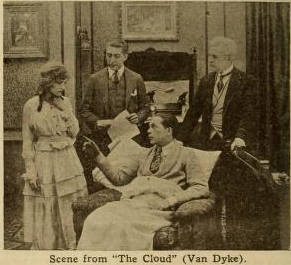 In 1917, Jean contracted with Van Dyke Film Production Company. 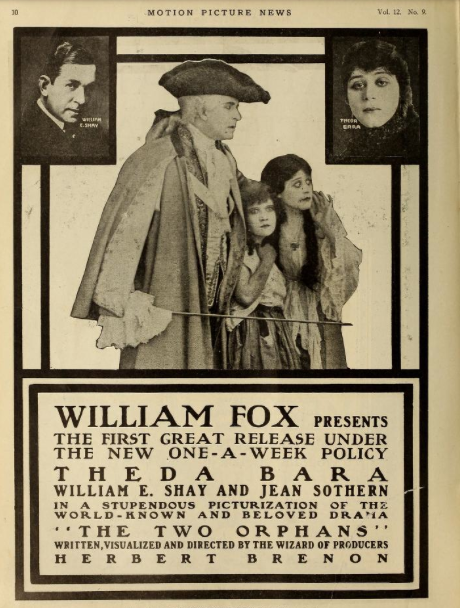 In rapid succession, she starred in Her Good Name, The Cloud, A Mother’s Ordeal (in the roles of the mother and daughter), A Mute Appeal, and Miss Deception, all 1917 releases. 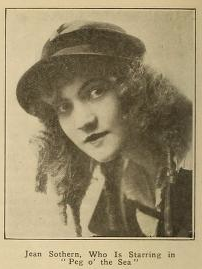 She made her final film in 1918, Peg o’ the Sea. The actress devoted herself to the war effort. 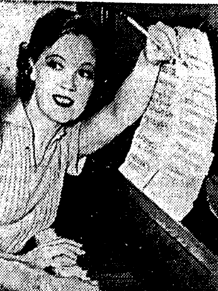 She sold war bonds from the Liberty Bond booth at Penn station in New York. By the late 1910s, Jean Sothern had acquired a legion of fans, who were saddened to read in the magazines that she had married a U.S. Army officer and was living at Fort Leavenworth, Kansas. Jean was quick to deny the rumor. Little did she know, this was the first incidence of mistaken identity that would explode in the papers four years later. With no film work in sight, Jean put together a vaudeville act and hit the road to meet her public. She was asked about her personal life and the decision she made to bob her flowing blonde locks. An exhausted and travel weary Jean Sothern arrived in Tulsa, Oklahoma, in April 1919, around 1 in the morning. The next day, a reporter questioned her about films and stage work. Did she have a preference? 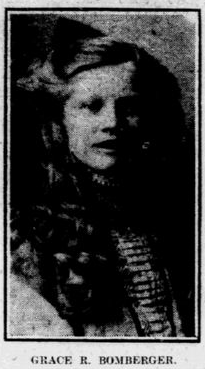 The most bizarre part of her travels came in 1921, less than a month before her name was linked with the other Jean Sothern and Captain Beverly Chew. When she arrived in New Orleans in May, Jean visited Matilda Levee in prison. Mrs. Levee was behind bars for murdering her husband, Fred Levee, the prominent New Orleans and Los Angeles attorney. Jean interviewed the woman and wrote a lengthy story about the case for the local newspaper. In 1930, Jean embarked on a new adventure: radio. Without revealing her true identity and vast experience in entertainment, she requested an audition with the Columbia Broadcasting network. She provided three or four versions of her act and spoke in some of the dialects she had perfected. The organization wisely grabbed her up. Jean Sothern found her home in radio. She played the role of Edie Gray in the popular NBC serial Pepper Young’s Family. She became an animal dialogue expert and provided Dutch, Irish, French, Southern dialects when needed. She was once referred to as the “most versatile actress in radio.” Although she is credited with playing the role of a waitress in Down the Wyoming Trail (1939), after watching the film, I question whether the actress is the Jean Sothern of the silent screen. Jean eventually returned to Lancaster, Pennsylvania, where she died of throat cancer on April 14, 1964. She is buried at Octorana Church Cemetery in Parksburg, Pennsylvania.